One remaining elm of many that once lined the main drive in the early years. In his 1974 NZFRI forest mensuration report 20, Bob Burstall recorded 'that most of the trees in the avenue are badly affected with rot at the base' (Burstall S.W. 1974). 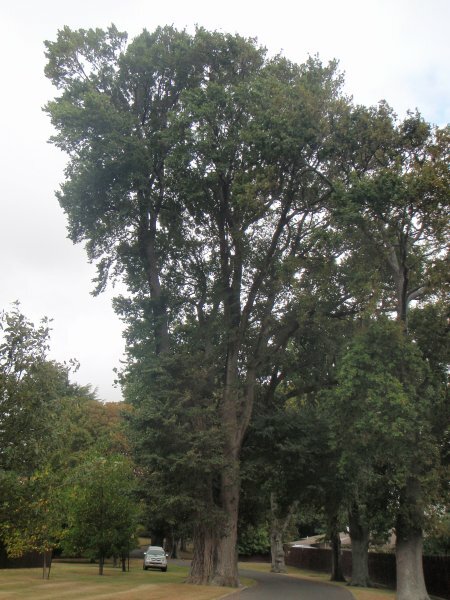 Four more elms are situated in a group near the house. Read extended notes about this historic location on group listing MWR/G1054. Two readings taken form north and south. 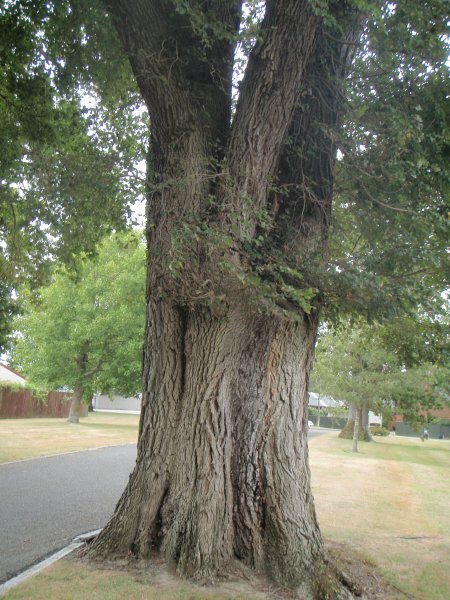 A multi-leadered tree stemming from a single trunk. 04 Mar 2013 Judd, D.A. On eastern side as you enter main drive towards entrance gates.